Zinc sulfide is transparent and white in color. It is usually produced from waste materials, and it is also a by-product of ammonia synthesis using methane. It is an inorganic compound with the chemical formula of ZnS. This is the main form of zinc found in nature, where it mainly occurs as the mineral sphalerite and wurtzite. Both sphalerite and wurtzite are intrinsic, wide-band gap semiconductors. ZnS is easily produced by igniting a mixture of zinc and sulfur. 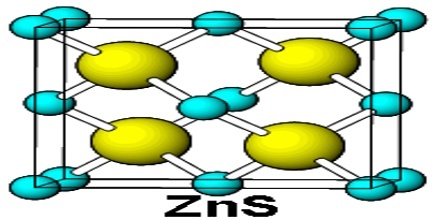 ZnS is insoluble in water and solutions containing Zn2+ ions readily precipitate ZnS if sulfide ions are added (ZnS is used for gravimetric analysis of zinc). Zinc sulfide is a yellowish-white powder in a liquid, which is used in a phosphorescent form in making television screens and luminous watch faces, and also as a pigment, etc. 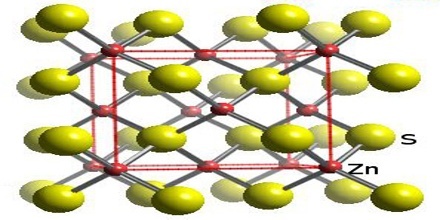 Solid zinc sulfide is found in two different crystal forms, alpha (wurtzite) and beta (sphalerite), which have hexagonal and cubic structures, respectively. The beta crystalline (sphalerite) is the more stable form of ZnS. The chemical formula of zinc sulfide is ZnS, and its molar mass is 97.47 g/mol. The chemical structure of ZnS is simple and consists of the zinc metal attached to a sulfur atom through a polar covalent bond. The most prominent property of ZnS is its phosphorescence, which has been first observed by Théodore Sidot in 1866. The color of the phosphorescence can be controlled by adding minute amounts of suitable activators, such as silver (bright blue), manganese (orange-red) or copper (green). ZnS exists in two main crystalline forms, and this dualism is often a salient example of polymorphism. 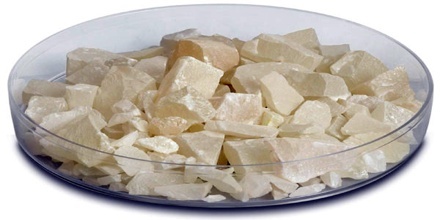 Zinc sulfide is found in two different crystal forms, as mentioned above in physical properties. The wurtzite form exists as white or yellowish-white crystals, while the sphalerite form exists as greyish white crystals. It has a density of 4.09 g/mL, and melting point of 1,185 °C. 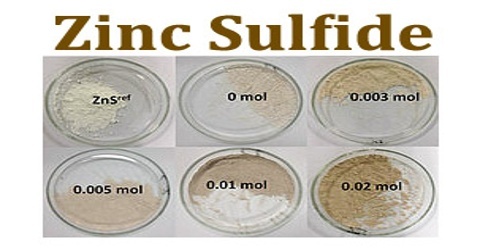 In chemical properties, zinc sulfide is completely insoluble in water. It decomposes in the presence of acids and strong oxidizing agents. At temperatures higher than 900 °C, it decomposes with the release of zinc and sulfur fumes, and it also reacts with strong acids to release hydrogen sulfide gas. 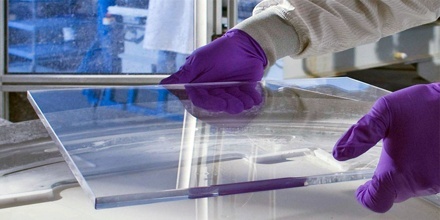 ZnS is a luminescent material, and exhibits phosphorescence when illuminated with UV light. Zinc sulfide is actually used as an infrared optical material, transmitting from visible wavelengths to just over 12 micrometers. It can be used planar as an optical window or shaped into a lens. It is made as microcrystalline sheets by the synthesis from hydrogen sulfide gas and zinc vapour. It has several applications due to its luminescent property. It is doped with different activators and used for making phosphorescent and electroluminescent materials. Zinc sulfide is a common pigment, sometimes called sachtolith. When combined with barium sulfate, zinc sulfide forms lithopone. With addition of few ppm of suitable activator, it is used as phosphor in many applications, from cathode ray tubes through X-ray screens to glow in the dark products. Reference: vias.org, pubchem.ncbi.nlm.nih.gov, softschools.com, wikipedia.